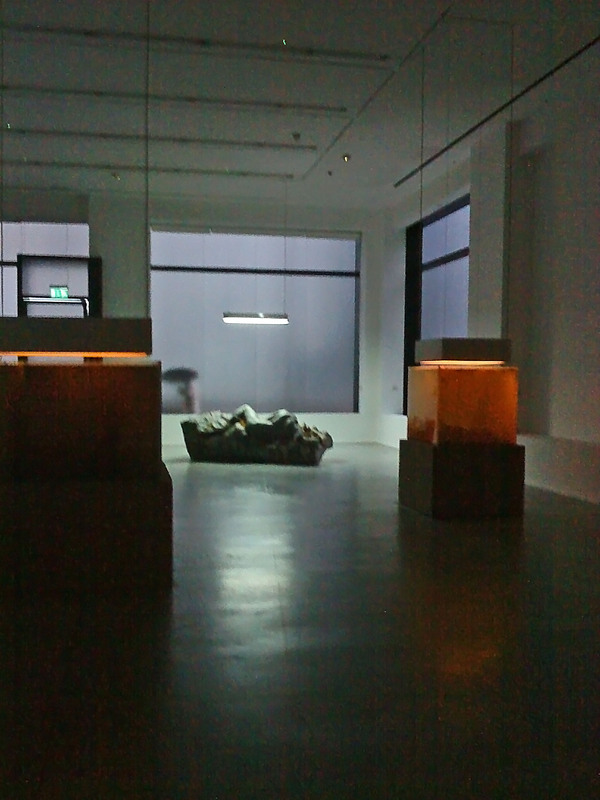 Installation view – note real umbrella outside. Sheltering from the rain at lunchtime I dived into Hauser’s North Gallery and was immediately submerged in a world of aquatic mystery. The vast space has three largish aquaria full of pond life and sometimes illuminated, a large concrete reclining figure (with puddles), a sanded gallery wall and two fairly extraordinary gallery films. 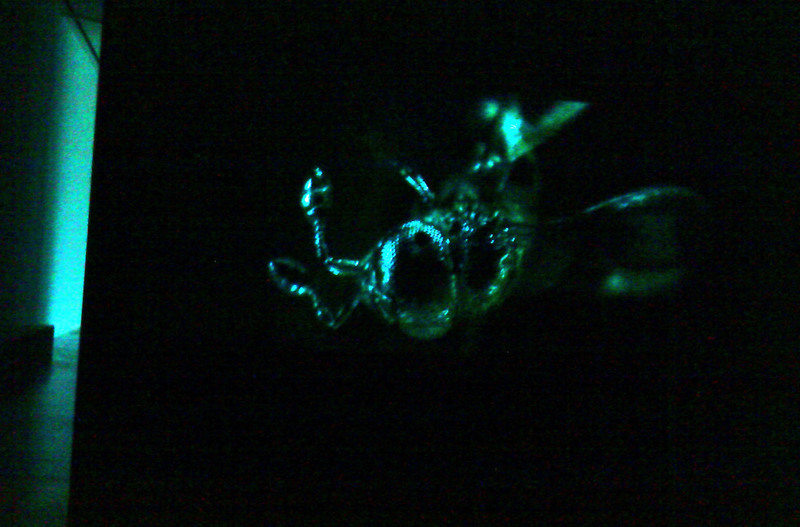 In the film that caught my attention an extreme closeup camera probed the depths of amber to reveal the insect lives preserved but buried within. The silvery carapaces of flies or the powdery patterns on a spider’s egg are bathed in a golden light and filmed in an epic slow motion. The stillness of an eternal dying moment is briefly dignified in the flickering light of the projector.This was truly eye opening. In the other film a monkey wearing (I think) a Kabuki mask is alone in a Japanese flat. I did not get past the strangeness and I could not easily tie it to the other one. This entry was posted in Art, Contemporary, Kings Cross, Performance, Uncategorized and tagged Galleries, Hauser and Wirth, London, Painting, Sculpture. ← Oh, but I haven’t seen that done before!